Harris Corp.’s (NYSE: HRS) guidance for its 2017 fiscal year started July 4 came in below Wall Street’s consensus forecast before markets opened Tuesday as the communications technology contractor anticipates pressure in its tactical and maritime energy businesses to continue. Melbourne, Florida-based military radio maker Harris cited global oil price declines in second quarter results that swung to a net loss on a writedown in the CapRock maritime business and subsequently lowered sales guidance in its third quarter statement on soft radio demand in the Middle East. Harris — listed in both Executive Mosaic’s GovCon Index and the S&P 500 — expects FY 2017 earnings of $5.70-$5.90 per share versus the $5.85 analyst consensus average and revenue of $7.11 billion-to-$7.33 billion compared to the $7.5 billion Wall Street forecast. In a separate announcement, Harris and New York City-based activist investor group JANA Partners have agreed on future appointments of two new mutually agreed independent directors to the board of directors. JANA is an estimated $11 billion hedge fund founded by Barry Rosenstein in 2001 and is one of Harris’ 10 largest shareholders. 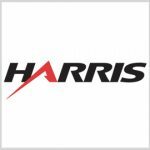 Harris also reported full FY 2016 and fourth quarter results prior to Tuesday’s open with earnings per share for 12 months at $5.70 per share to exceed Wall Street’s expectation of $5.69 and April-June EPS of $1.45 compared to the $1.44 analyst forecast. Earnings per share figures do not include charges in the CapRock business nor acquisition and integration costs related to the May 2015 purchase of Exelis. With those costs, earnings for the full fiscal year came in at $2.75 per share. FY 2016 net income fell 2.99 percent to $324 million and fourth quarter profit totaled $160 million in a reversal from a $56 million loss in the same period during 2015. Revenue for FY 2016 jumped 47.05 percent to $7.47 billion, while fourth quarter sales increased 24.18 percent to $1.9 billion on added contributions from Exelis and growth in both the electronics and space-and-intelligence business segments. Wall Street analysts expected full-year revenue to total $7.5 billion and fourth quarter sales of $1.94 billion. As of Monday’s close, shares in Harris are flat on a year-to-date basis and have risen 4.02 percent over 12 months compared to the GovCon Index’s gain of 8.08 percent for 2016 so far and 10.08 percent in 52 weeks. The S&P 500 is up 6.21 percent since the start of 2016 and has climbed 3.18 percent over one full year.